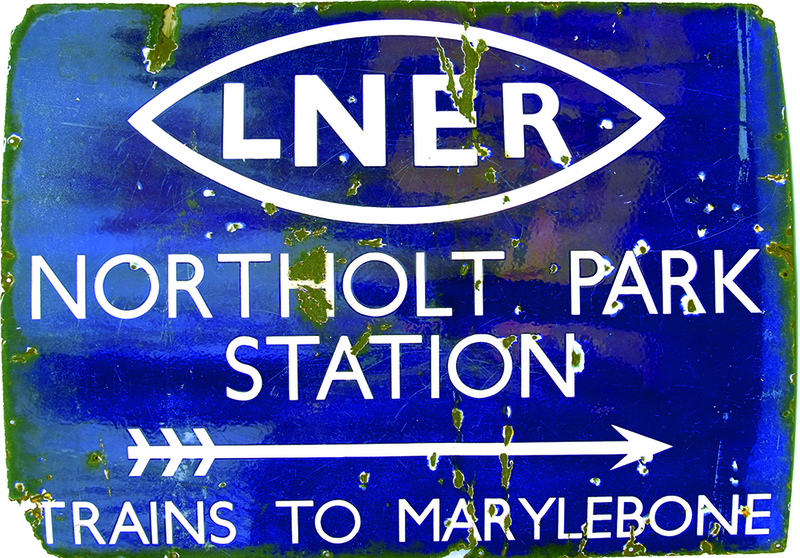 LNER 'winking eye' Enamel Sign 'LNER Northolt Park Station - Trains To Marylebone' incorporating a right facing arrow. Measures 43 x 32 and although having some loss and damage, this is a scarce type of sign. The station opened in 1926 and was known as South Harrow & Roxeth. It was renamed Northolt Park three years later.